Most of the times people with a hearing loss are underestimated. It is considered that they cannot do what normal people can. For example: travelling. All of us need to travel from one place to the other for various reasons. We need to go on professional as well as on personal trips and so do people with a hearing loss. People with hearing disability can also travel alone. They just need to keep a few things in mind and have an enjoyable trip. You must carry a notepad and pen as you may need it quite often. Not everyone is aware of sign language, so the notepad will help you communicate with a fellow traveller, hotel room staff or airline staff. It is a good idea to let the airline and hotel staff know about your hearing disability, so that assistance can be provided to you whenever needed. You may have a hard time understanding announcements, so an airline staff member aware of your hearing loss can assist you. If given sufficient time, hotels can arrange rooms with facilities for the hearing impaired. Since you may be unable to hear knocks on the door, special rooms can be provided where a light is turned on every time there is a knock on the door. You can contact a travel agent with deaf education. A travel agent with deaf education will understand your needs better. He can also help you contact the right person in airline and hotel staff for special considerations. Wearing hearing aids should not be a problem while travelling, except for the take off time when they need to be turned off. You will not face any problems due to hearing aids at the security checkpoints. Hearing aids are not affected due to metal detectors or X-ray inspection. If you do not wear hearing aids, you must contact a doctor who will perform a hearing test before commencing the treatment for hearing loss. If you need to wear a hearing device, he will suggest you the one that will suit you the best. 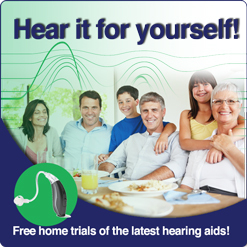 Click here for information on treatment for hearing loss.